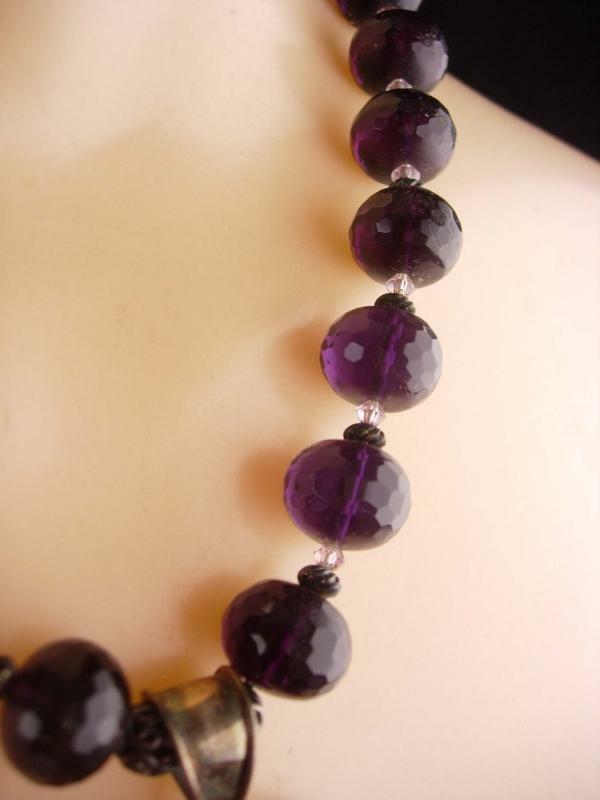 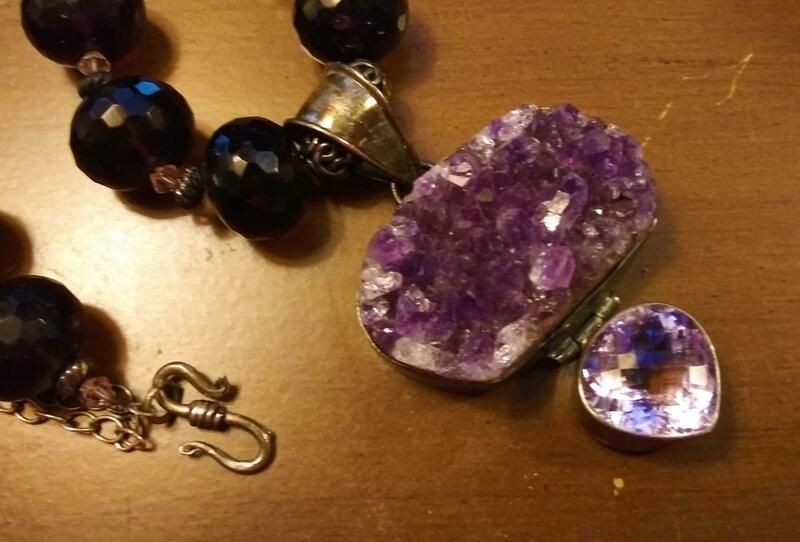 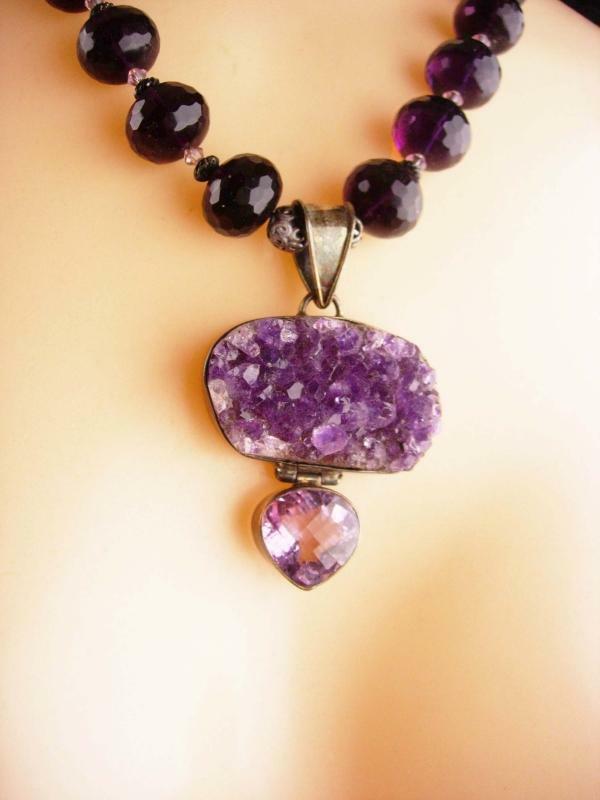 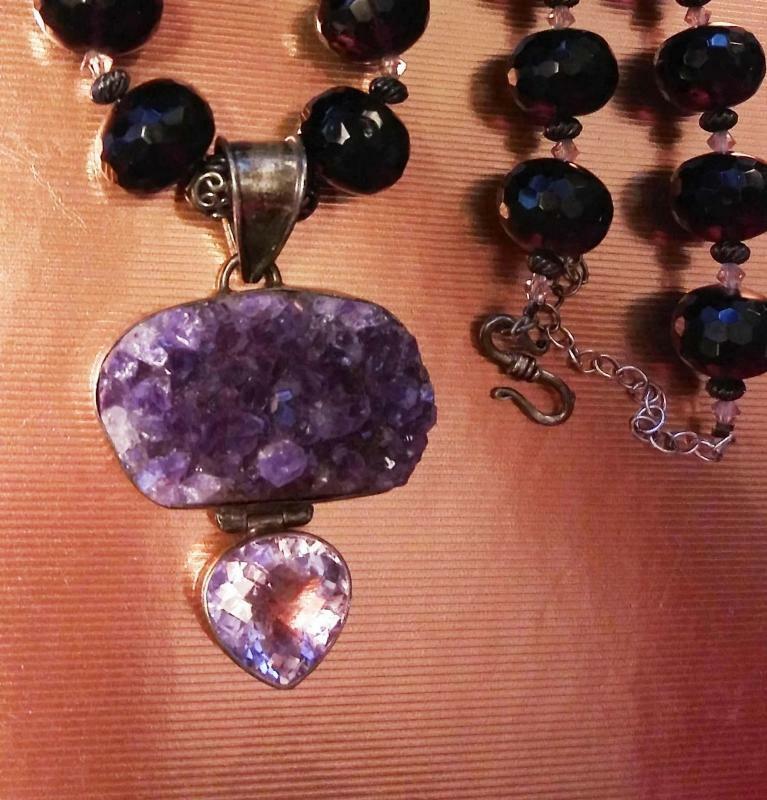 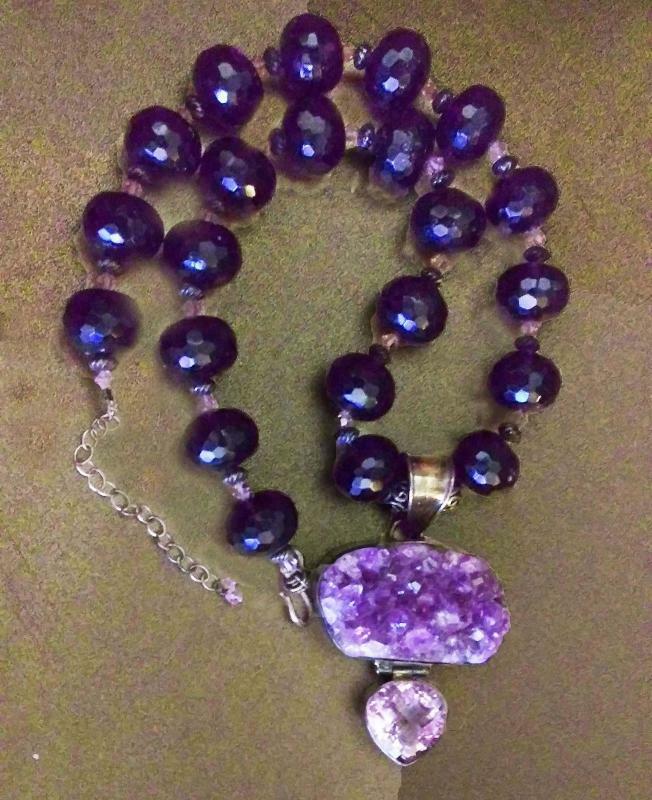 THese huge genuine amethyst beads hold a larger raw amethyst pendant and an amethyst heart. 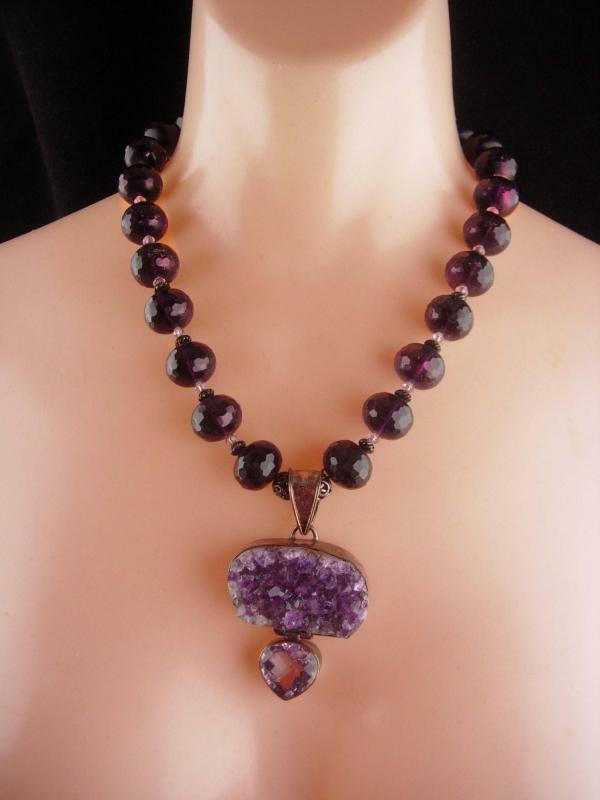 MUCH prettier then the photos, this heavy and well made artsan necklace is something you will get a LOT of compliments on. 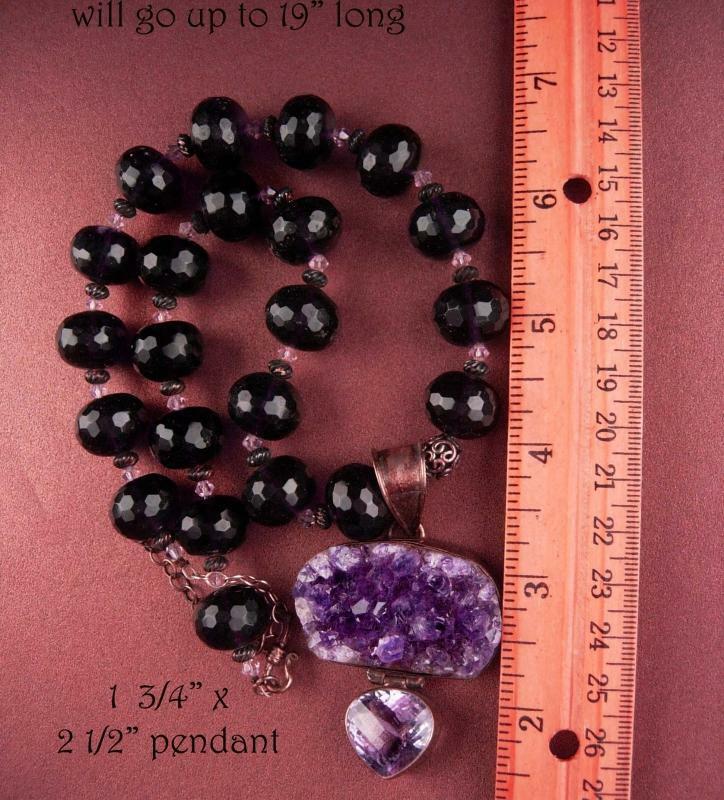 Sizes are in the photos.